It has been one hundred years since the sinking of the passenger liner Titanic in the North Atlantic, yet worldwide fascination with the epic tragedy remains as strong as ever. 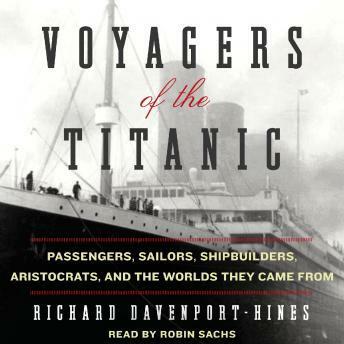 With Voyagers of the Titanic, Richard Davenport-Hines gives us a magnificent history of the people intimately connected with the infamous ship—from deal-makers and industry giants, like J.P. Morgan, who built and operated it; to Molly Brown, John Jacob Astor IV, and other glittering aristocrats who occupied its first class cabins; to the men and women traveling below decks hoping to find a better life in America. Commemorating the centennial anniversary of the great disaster, Voyagers of the Titanic offers a fascinating, uniquely original view of one of the most momentous catastrophes of the 20th century.